We celebrate Jesus' coming to Earth today. Hallelujah! We are at Lake Chelan in a condo at Wapato Point. It is gray and white. 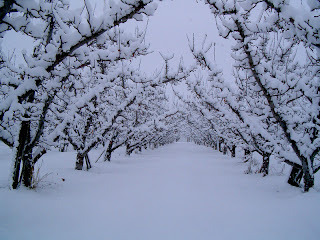 They got several inches of snow Wednesday, but it is overcast and gray. Still, we can't complain. God bless you as you celebrate His birth today. 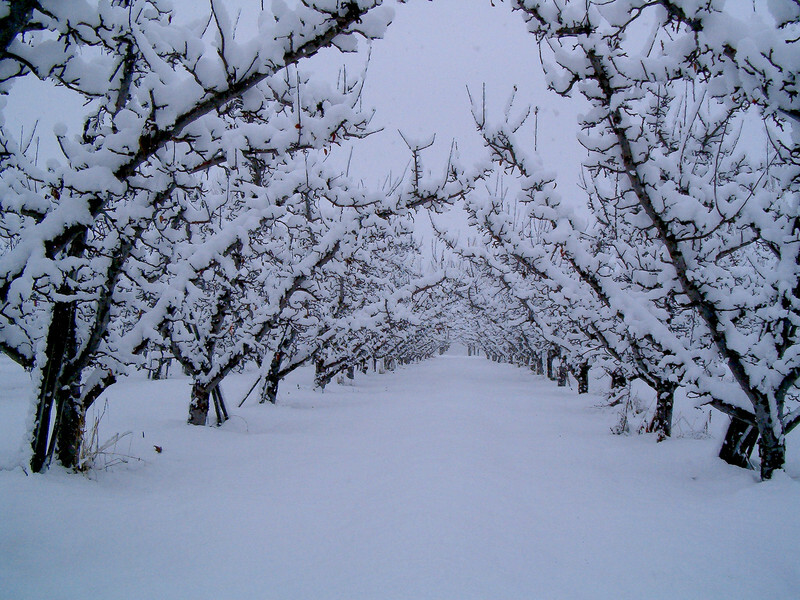 Photo: Snow on apple trees on a gray day like today. From esperanto.wunderground.com.